Movies in which secrets of the Illuminati are exposed by the to the profane public. 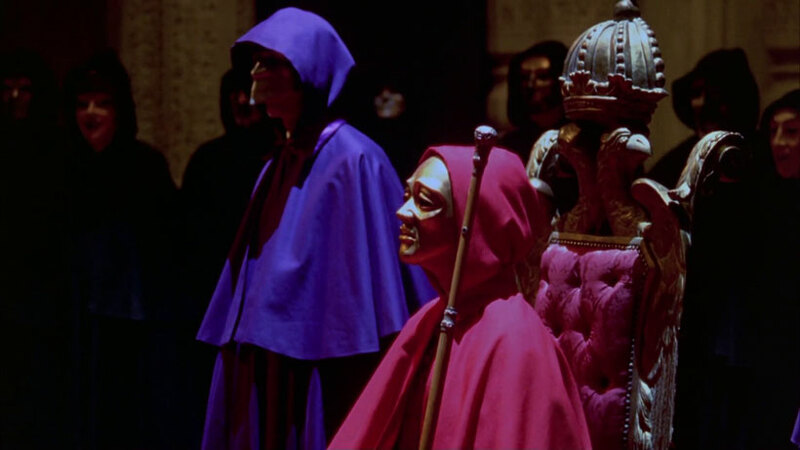 For most people, Eyes Wide Shut is the first movie they think of when asked which Hollywood film best represents the modern Illuminati. Urban legends tell of its director, Stanley Kubrick, revealing too much and getting murdered by the Illuminati. The film’s main character closely follows this scenario, adding fuel to the conspiratorial flames. Infowars’ Alex Jones deconstructs Stanley Kubrick’s classic, A Clockwork Orange and highlights the meanings behind the meanings – the secrets behind the secrets. Infowars’ Alex Jones deconstructs the popular film, The Hunger Games and highlights the meanings behind the meanings – the secrets behind the secrets. Infowars’ Alex Jones deconstructs the prequel to the Alien series, Prometheus and highlights the meanings behind the meanings – the secrets behind the secrets.